Earn top dollar with our unique addition to the Pinterest Clone Script’s unique monetization features. Earn top dollar with our unique addition to the Pinterest Clone Script. Make money with the innovative feature called Sponsored Pins. Receive PayPal payments automatically from featured advertising, all on auto pilot, no maintenance needed. – 1 Day, 7 Days, 1 Month for a pin to become featured on homepage. – Likes system: members can like each others content. – Members Followers system: users can follow other members to view their content directly on their homepage while logged in. – Facebok Comments: users can leave comments if they’re already logged in into facebook. 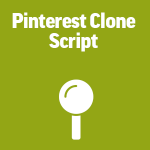 And so much more to enjoy when using our Pinterest Clone Script.